Located in the center of Lionshead in Vail, this employee housing project consists of 32 affordable, for rent units. The building was developed to comply with the Lionshead Masterplan Design Guidelines. The design of the building nestles in seamlessly with surrounding developments that double in construction costs. Amenities inside the building included heated parking, ample storage, ski storage and ski tuning amenities and 800 square feet of common space per floor. 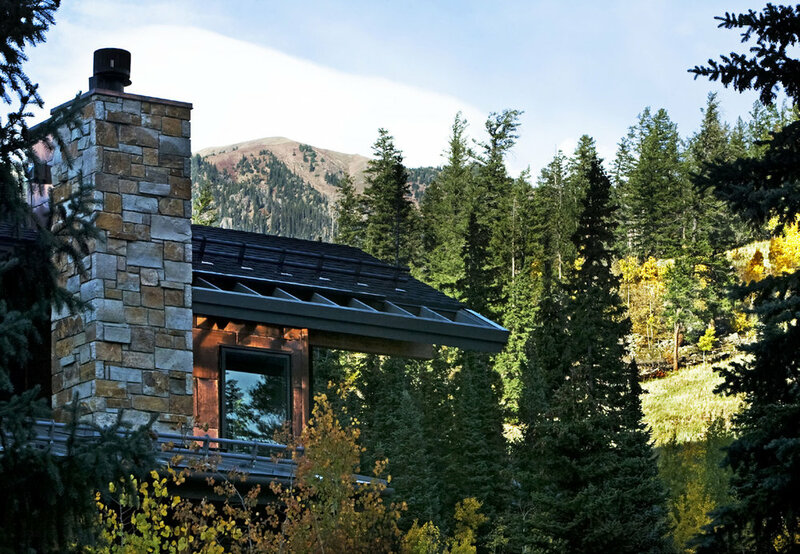 Site amenities include a common outside area and Town of Vail Skier Drop-Off. The exterior design of the project was developed in partnership with the Town of Vail to satisfy and surpass both their requirements and expectations. Neighborhood meetings addressed the concerns of adjacent property owners and contributed to the Integrated Design Process. This redevelopment is comprised of three duplexes on three adjacent lots. 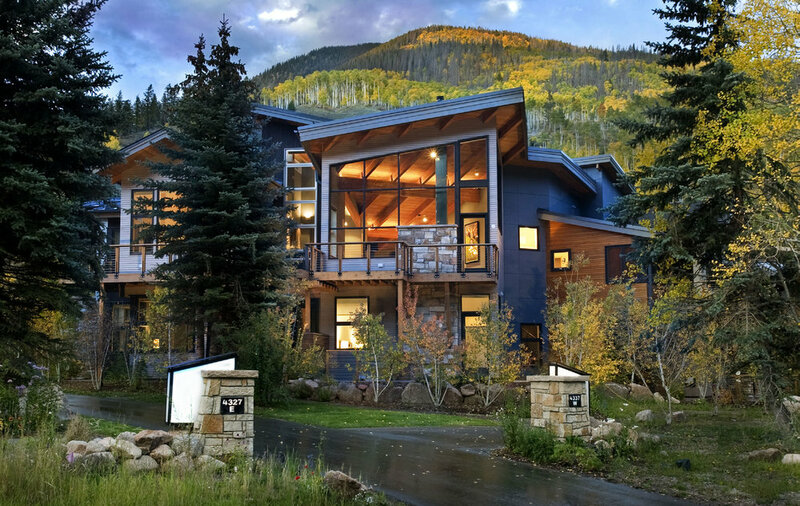 Each building and residence boasts its own site and uninterrupted views and privacy that are not typically found in Vail, where most developments share a site, utilities and garage space. When you arrive at Torzetto, you arrive at your own residence with visual unit separation and definable front doors. Each residence combines functionality with true opulence—from the spacious storage spaces and lavish living areas to the private elevators. 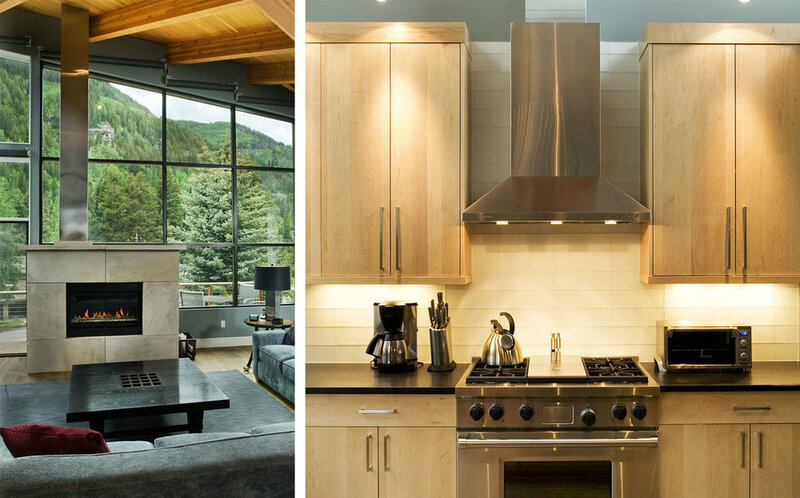 The material palette is clear, warm and contemporary and experiments with new materials not typically found in mountain-resort settings. An abundance of unrestrained windows, spacious balconies, and vaulted ceilings allow residents to admire the raw beauty and maximize the natural mountain light.